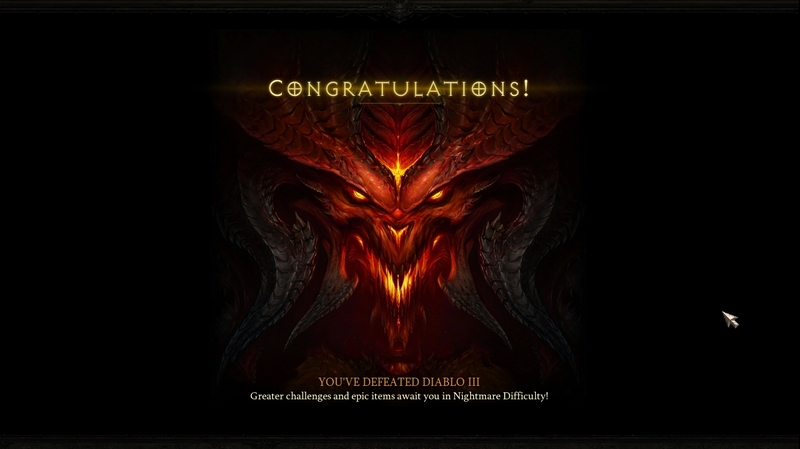 Yesterday I finished Diablo III on Normal as a Barbarian. Overall I can say I enjoyed the experience, especially after I dumped the idea of spending all my gold on blacksmithing. Instead I used my gold to buy better gear in the auction house and greatly increasted my DPS making the game much less difficult. I will say that ACT IV felt sort of rushed and was the quickest of all of the acts in the game. This makes little sense since it’s the climax of the game where you’re chasing down Diablo in an effort to destroy him once and for all. The final battle was also pretty anticlimatic and lasted at most 5 minutes which was disappointing. Of course now there’s Nightmare mode, where I get to start the grind all over again. I can only hope a future expansion will develop the game further. Until then let’s grind for gold and gear, shall we? A lot of people are all excited about E3 right now, but I’m not one of them. It just seems like one big commercial these days. Nothing all that amazing. I read a quick summary of Microsoft’s conference or whatever you want to call it, and the Xbox SmartGlass idea sounds nice. Otherwise there’s Halo 4, Gears of War and Kinect stuff. Who would’ve ever imagined? Totally breathtaking developments, huh? I mean Halo 4, wow, totally surprised. Seriously though, everything is just some sequel that we already knew about forever. And you really expect me to use a Kinect to say “Hike” in Madden or “Kick the ball” in FIFA….Really? What are you smoking Microsoft, what’s the point? A year ago if I wanted a movie I’d go to the store and buy the blu ray, or if I wanted a video game I’d go to Gamestop and buy the disc. I had already given up CDs as a medium for music (I’ve been all iTunes for quite some time), but I hadn’t completely given up on physical media yet. The main reason was my internet at the time just wasn’t good enough to handle my media consumption. Now things are different. I want a movie? I buy the digital copy on Amazon or now on Vudu, in HD (or HDX on Vudu) and it looks just as good as a blu ray to my untrained eyes. As for video games, most new releases aren’t instantly available in digital form (on the 360 at least) but when they are I prefer digital over a disc any day. Having a stack of DVDs just doesn’t appeal to me. They take up shelf space for no good reason, it’s not like they’re appealing to look at every day. Plus when I move it’s really annoying to use up precious box space for a ton of DVDs. Having a digital movie collection is awesome. I can browse my collection on my laptop, tablet, or TV and watch what I want in an instant. I never have to hunt down a disc, I never have to put anything in, just click and enjoy. When I’m done the movie stays on the server far away and takes up no space in my room or on my hard drives. Even better I can access my collection from anywhere. Over at a friend’s house? No problem. I have access to my entire movie library by simply logging into an account. On vacation? My movies are there waiting for me. I know a lot of people are slow to give up on something they know. They say they like seeing their collection, or if they pay money for something they need something to hold in their hands. Believe it or not there are people who still buy CDs. So be it, but it’s not for me. I welcome the digital age with open arms. I love the cloud. 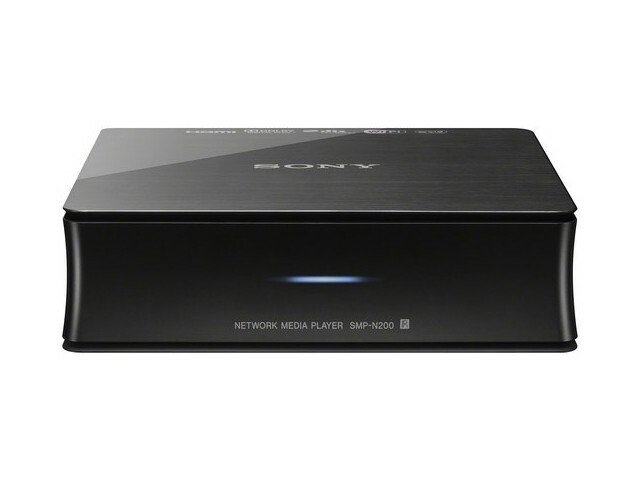 Last week I picked up a Sony Streaming Player (the n200) for $79.99 at the Bx (you can find it cheaper on the internet). The box is pretty small and lightweight but it can do so much. When you turn it on (after initial setup) you’re greeted with a clean and simple menu with a variety of content providers available including Netflix, Hulu, Amazon, Crackle, Vudu and Pandora radio (there are many more but these are the ones I use). I previously used my Xbox as a media player and it worked, but one problem I had is that if I wanted to go from Netflix to Hulu it was time consuming to switch apps. The Sony streaming player loads pretty quickly and if you leave it in standby mode it powers on quite quickly as well. The video quality is great (via HDMI) and I haven’t had any hiccups at all. Nothing ever gets blurry or slows down to load (this probably depends on your internet connection, but when I use Netflix on my Xbox at times it seems to be loading and will go blurry. It doesn’t do this on the Sony player). Since purchasing this box I’ve discovered Vudu which was a service I hadn’t previously used. It allows you to rent and purchase movies, just like Amazon’s store, however Vudu claims to have the most HD options of any service and so far this seems true. It also has an HDX option which is even closer to blu ray quality than standard HD (and in some cases HDX and HD are the same price, so it’s really up to how much bandwidth you want to use). HDX looks awesome, I’m not a huge video or audio buff so I can’t really tell the difference between HDX and blu ray. What’s also cool about Vudu is that it has some movies from independent studios available to rent BEFORE the movies are even in theaters (for example I rented Take This Waltz which hits theaters later this month for about $11 in HD for a 48 hour rental. The movie stars Seth Rogen and was very good, one of my favorite movies of the year already). It also has some movies that are currently in theaters (again usually from independent studios). You can buy movies and stream them at any time which I enjoy. I’ll probably make a separate post about it, but I hate physical media, I’m in love with digital and cloud storage media. In the end I’m very happy with my purchase. Sure my Xbox could already do most of what the Sony player does, but I find the Sony streaming player to be faster and more convenient.